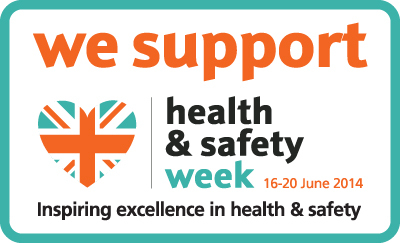 All this week (16th-20th June) is Health and Safety Week in the UK and the perfect opportunity to highlight the importance of safety when testing smoke alarms. 85% is a very high figure indeed, but when you consider the different methods that people adopt to test their smoke alarm it is easy to understand why. While not strictly a method for testing smoke alarms, burning food while cooking was another example people gave as a way of knowing their smoke alarms were working! What this doesn’t answer however is how they then reset them, but we can be pretty sure one of the options above would be used. First and foremost, working smoke alarms save lives and we can’t emphasise enough how important it is that they are regularly tested. That said, testing smoke alarms can put you at risk of injury, especially when using a chair or leaning over a banister to do so. One slip or fall could result in broken bones or worse, and that is where the GOODPOINT Smoke Alarm Tester comes in. The GOODPOINT Smoke Alarm Tester was an idea developed by Philip Martin, Community Safety Manager for Devon and Somerset Fire & Rescue and puts an end to unnecessary risks associated with testing smoke alarms. Smoke alarms are normally located in hard to reach places that can only be accessed with the aid of a chair or stepladder, which increases the likelihood of injury. This is probably one of the reasons why they are so rarely tested. The GOODPOINT Smoke Alarm Tester is designed to change this perception and is a simple to use device that makes testing smoke alarms a quick process, but most importantly removing the risk to personal safety. Don’t put your safety at risk when testing your own or someone less able’s smoke alarm. Don’t risk it- safe test it!